Have a question or looking to make an appointment? 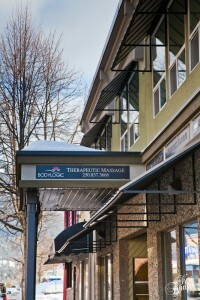 Our clinic is located at #103-103 First St E. in Revelstoke, BC. We are located on the main floor of the professional building across the street from the Regent, just east of Mackenzie St, beside Kawakubo. Parking is available directly outside of the clinic building on First St. (one hour max until 6pm on weekdays). There is also parking beside Kawakubo, or one block east across the street from Nico’s.